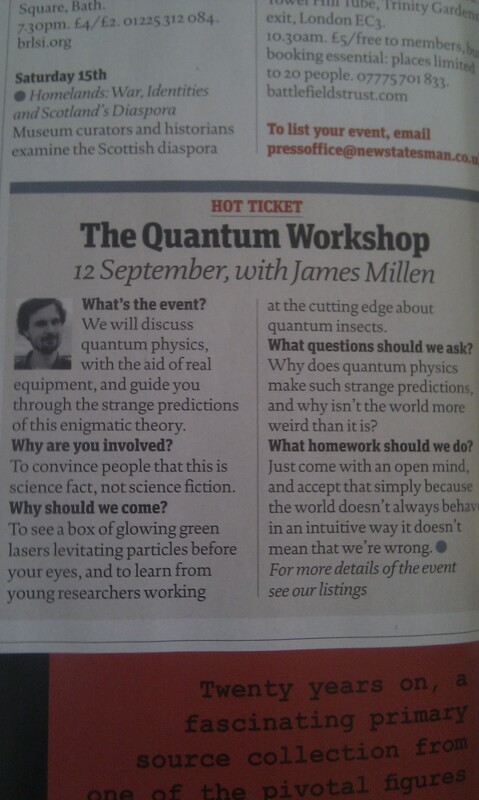 Home > Uncategorized	> TQW’s pub talk advertised in The New Statesman! “TQW�s pub talk advertised in The New Statesman! � The Quantum Workshop” in fact makes me contemplate a small bit extra. I personally was indeed really joyful to read it.